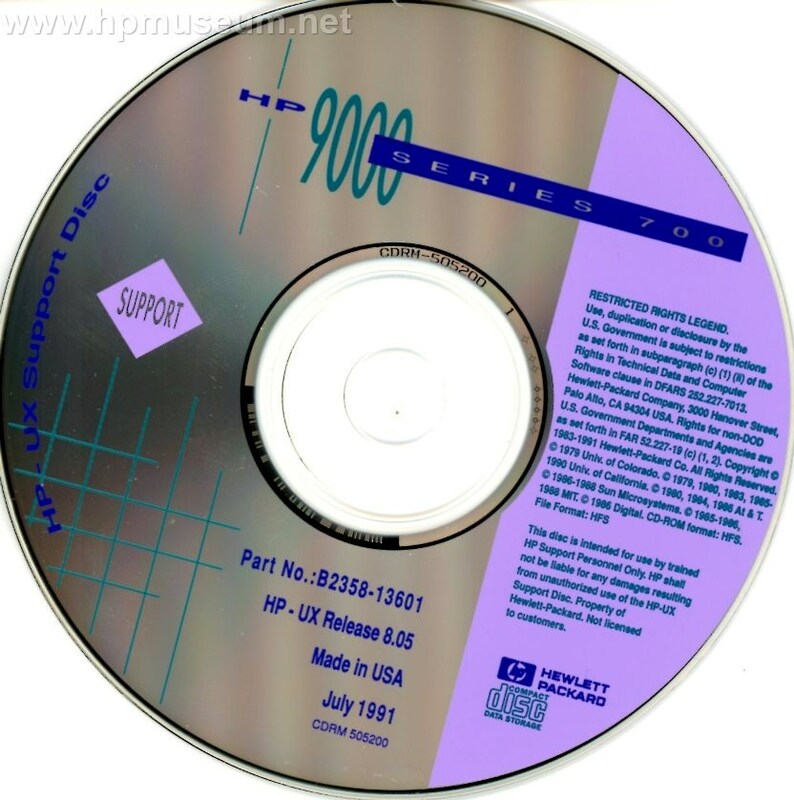 HP-UX 8.05 support disc for Series 700 computers. Please contact us if you would like a copy of this disc. Compressed ISO file size is 10MB.